Pristine first floor location in Carmel Trails. Shows beautifully with brand new carpet & paint. Bathroom & kitchen have granite counter tops, kitchen has stainless steel appliances, Pergo flooring, large private patio with space for outside cooking & garden. Refrigerator, full size washer & dryer convey. Great location, just steps from pool/spa with BBQ area, clubhouse, tennis/basketball, workout room & sauna. 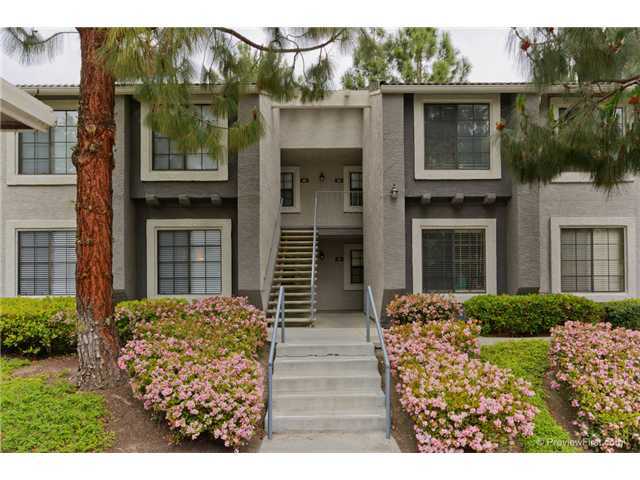 Conveniently close to restaurants, shopping, golf courses, freeway. Poway Unified Schools.